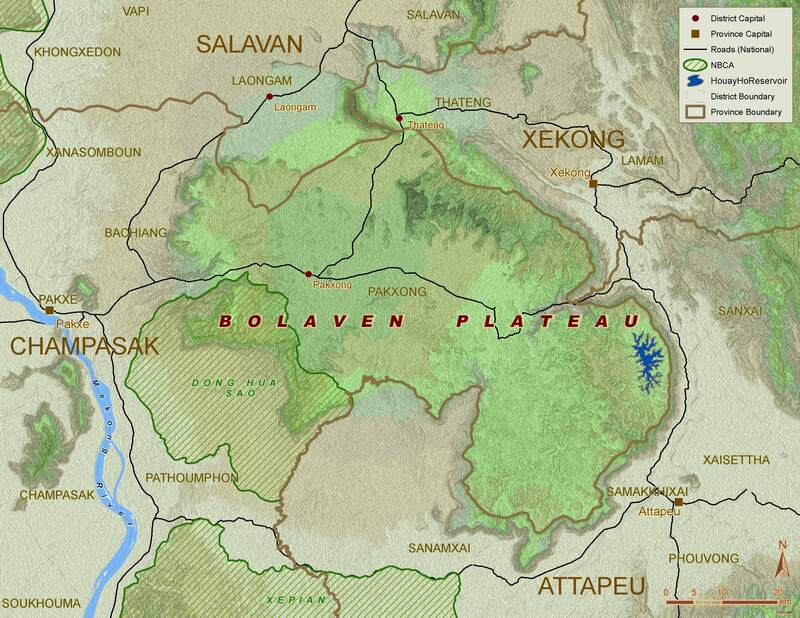 The Bolaven Plateau is a large tableland feature located in mainland Southeast Asia. It’s a textbook example of a plateau. 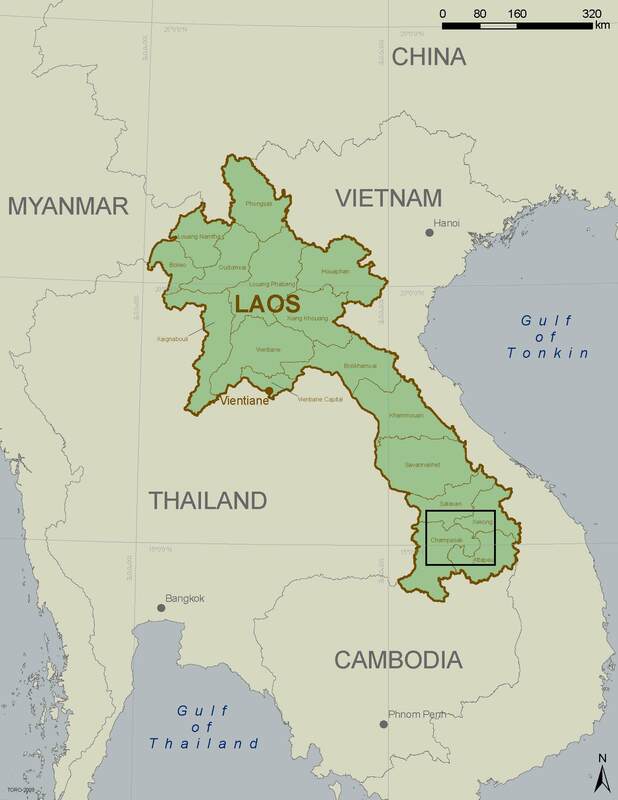 It’s centrally located in southern Laos between the Annamite Mountain Range (which forms the border between Laos and Vietnam) and the Mekong River (which forms much of the western border of Laos) at about 15°N latitude and 106°E longitude. It’s a special place for me. During the first three months of 2009, I traveled through the landscapes and villages of the region conducting fieldwork on various interrelated research questions that would ultimately culminate in my master’s thesis — Coffee Markets, Smallholder Credit, and Landscape Change in the Bolaven Plateau Region, Laos — as well as a couple related co-authored academic publications. I travelled with an amazingly patient and kind research assistant / translator, and friend-for-life, Ms. Soukdavanh Bouadaphom. 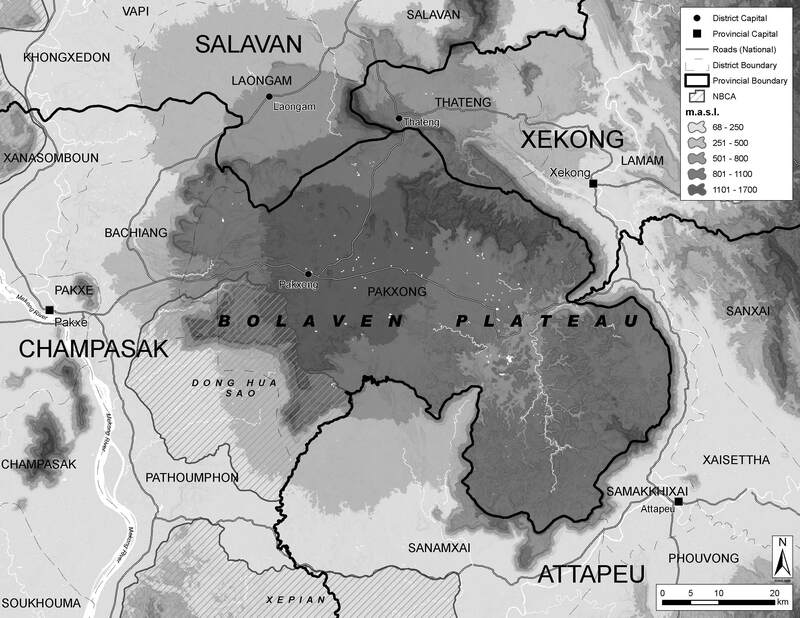 Through this research into the socio-ecological dynamics of the Bolaven Plateau, the region also became the subject (obsession?) of dozens (hundreds?) of iterative hours of cartographic and land change analysis work I did between 2010 and 2012. My resultant intimacy with and topophilia for the region, geographically and cartographically, predispose me to use it when testing-out new GIS processes or visualization techniques. In the case of topographic representation especially, the Bolaven Plateau is such a well-defined physiographic landscape feature that it simply lends itself beautifully to visualization and representation experiments. 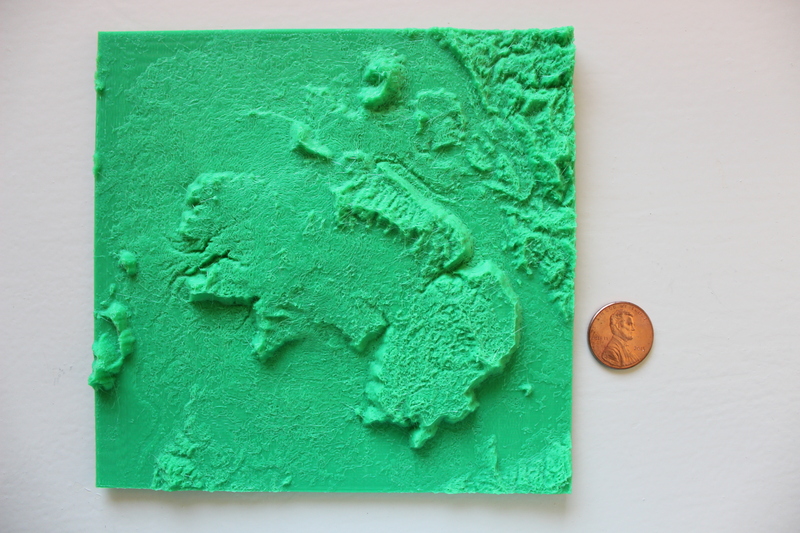 It seemed appropriate, then, to take my first-ever stab at 3D printing with elevation data representing the Bolaven Plateau region. There’s room for further testing but I’m quite happy with the output. 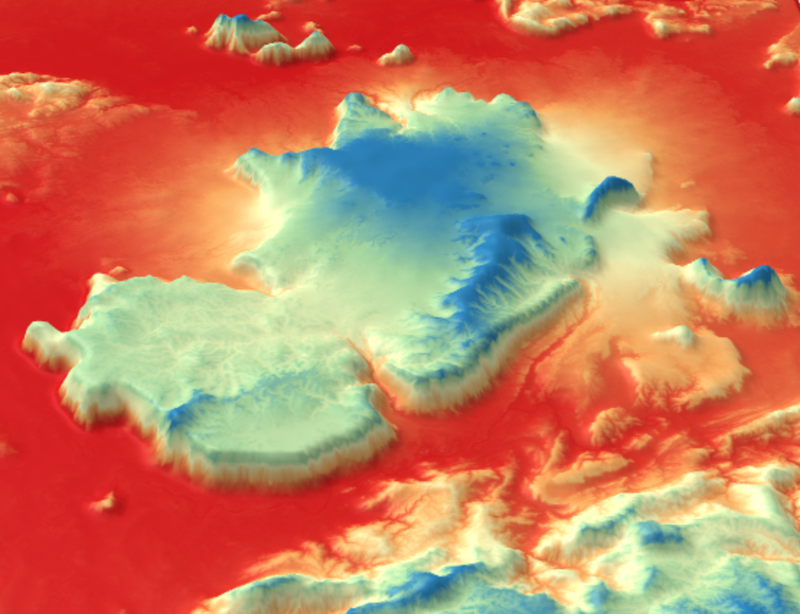 I used the remarkably easy-to-use open source GIS plugin DEMto3D, developed by Francisco Javier Vencesla Simón, a geodesic and cartographic engineer based in Spain. Documentation for the plugin — including procedures for downloading, installing, and executing — is clear and well-presented, so everyone should visit the original web page for detailed information on how to use it. 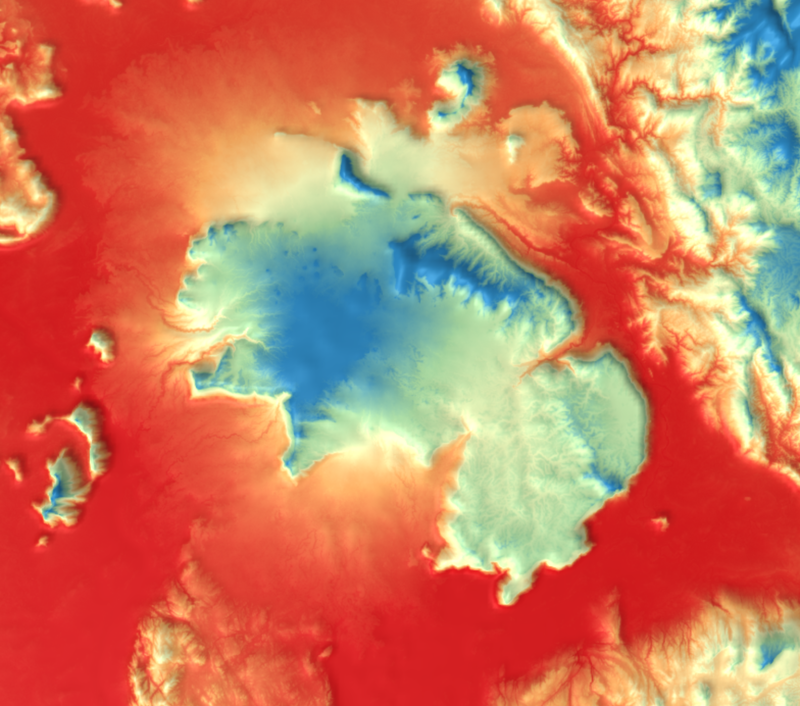 Potential users should first have either QGIS or Kosmo installed, as the DEMto3D plugin was created to work on top of one of those two open source GIS platforms. 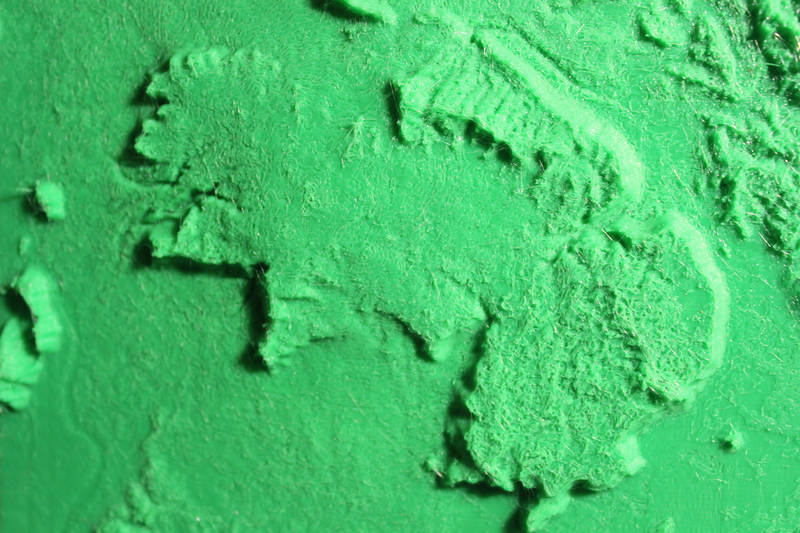 The 3D print pictured above was created from SRTM (Shuttle Radar Topography Mission) data at 1-arc second spatial resolution (approximately 30 meters at the equator). 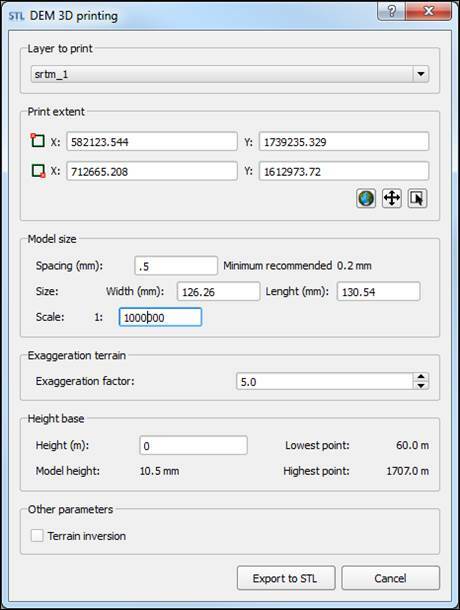 As you’ll read within the DEMto3D documentation, you’ll have to set values for a few key parameters (which will automatically calculate the values for the bulk of the other inputs in the dialog box). 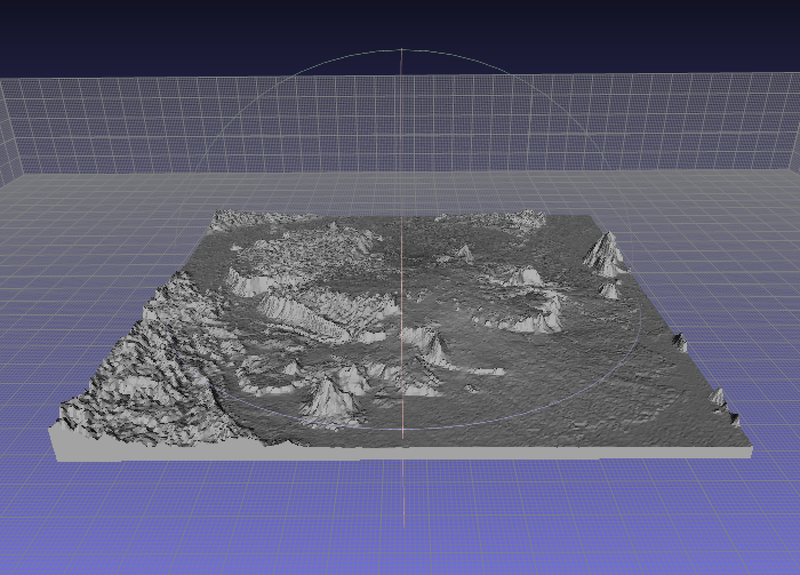 Here’s what the resultant STL file looks like on a computer screen prior to printing. An STL file is what must be generated and sent to a printer to create the 3D model. In terms of the 3D printer itself, I used one of the MakerBot Replicator printers made available through the ASU Library’s mkrspace for the university community of students, faculty, and staff. 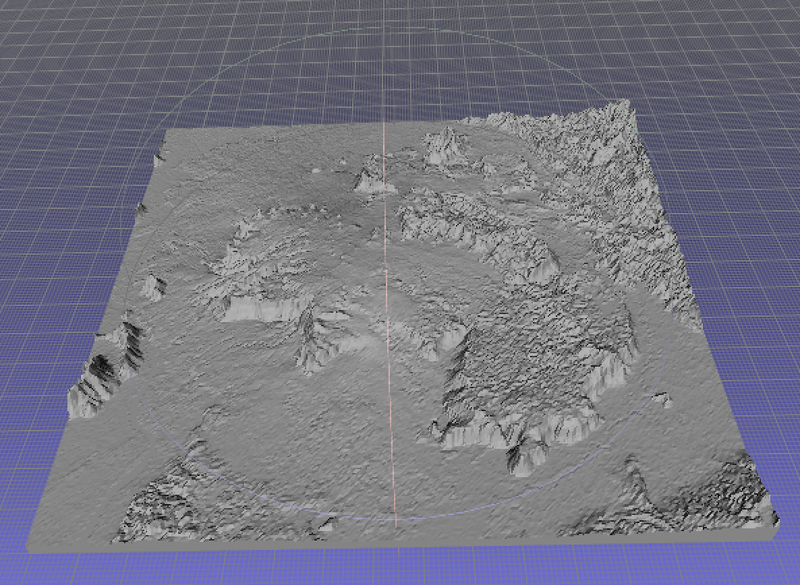 It took over 9 hours for the model to be constructed by the Makerbot machine. Don’t hesitate to send me a message if you have any questions about how to do some of your own 3D printing. 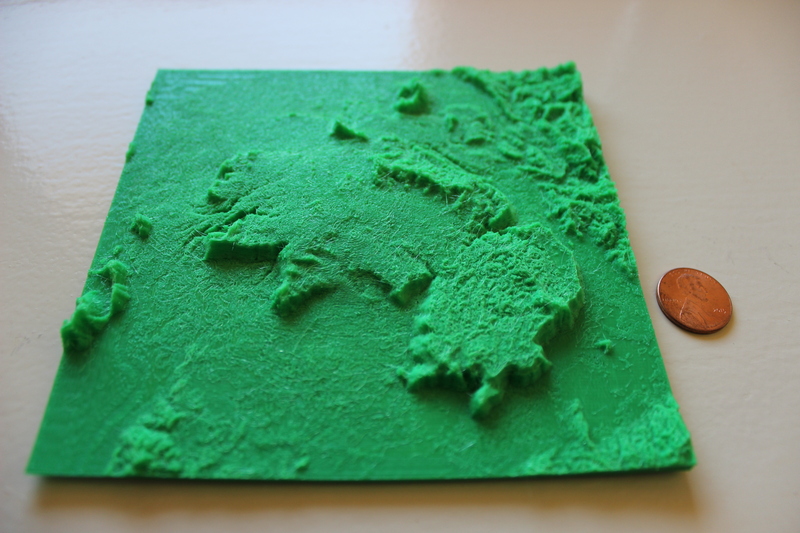 I promise to post more on these sorts of geographical 3D printing experiments as I become more familiar with the technology and its potentials. 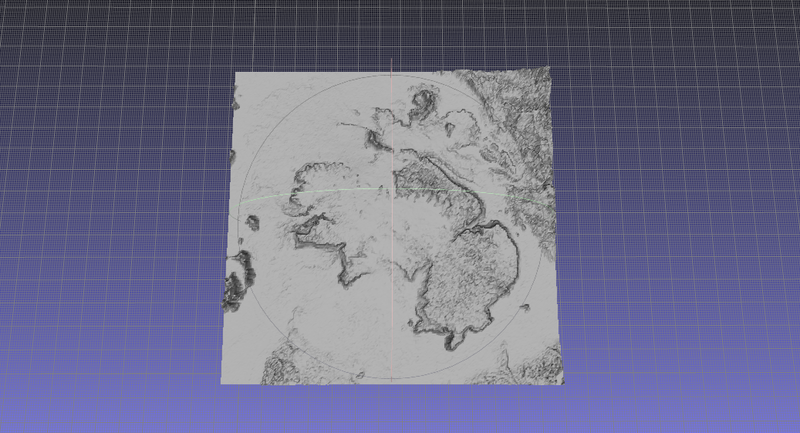 In the interim, behold an inkling of the possibilities for new forms of geographical representation and communication!